Last October we blogged that civil society actors seem to be waking up to the usefulness of satellite imaging technologies in trying to hold governments accountable for their actions, for instance for human rights violations or failure to protect civilians in conflict. (In contrast, the value of satellite imagery in traditional arms control was known from early in the Cold War - but cost and tight government control over access to imagery generally kept it out of the hands of non-state actors.) Amnesty International launched a website last year in partnership with the University of California at Berkeley to watch over parts of Darfur. And the American Association for the Advancement of Science (AAAS) later released similar satellite images of Myanmar. Wired Magazine ran an interesting piece on 13 June, which presented some of the images collated by the AAAS's Geospatial Technology and Human Rights Project, which you can take a look at here. Its gallery presents a series of before and after satellite photographs spanning the globe, from Ethiopia to Zimbabwe to Myanmar, Eritrea, Sudan and even North Korea. Among these images were two from Southern Lebanon. Conflict there in the summer of 2006 between Israeli Defence Forces (IDF) and Hezbollah saw both sides use cluster munitions - IDF launching them into Southern Lebanon on a massive scale, especially in the last few days of fighting. A Human Rights Watch report, Flooding South Lebanon: Israel's Use of Cluster Munitions in Lebanon in July and August 2006 made considerable use of commercially-available satellite images matched with global positioning data to show the locations of cluster strikes and document their effects. In this way, satellite imagery played a role in raising the profile of concerns about the humanitarian impacts of cluster munitions, and therefore to the achievement of the Convention on Cluster Munitions (CCM) through the Oslo Process, in which Human Rights Watch was active as a member of the Cluster Munition Coalition. GoogleEarth map of Lebanon from the Google Earth Blog. At a pre-briefing meeting in Geneva on 8 May for the Dublin conference on cluster munitions, the President-Designate of the Conference, Ambassador Dáithí O’Ceallaigh of Ireland, said that the Conference would not be a disarmament conference but a humanitarian one with a humanitarian purpose. Throughout the Dublin negotiations, a number of states echoed this view in their statements. And many States and civil society representatives said that the Convention on Cluster Munitions (CCM) was a milestone of humanitarian law (IHL) after the treaty text’s adoption and during the closing ceremony. A few States, such as Indonesia, also mentioned that the Convention contained important disarmament provisions. What difference does it make, whether an instrument of public international law is described as a humanitarian or disarmament treaty? Scholarly opinions diverge over how to categorise treaties like the CCM, which contain elements typically associated with both IHL and arms control/disarmament law. These categories can be seen as mere manifestations of functional specialization among diplomats and academic experts. But the significance of this is that special rules of interpretation and practices may have more or less relevance depending on how the problem at issue is described, reflecting the object and purpose of the respective regime (for more details, see the ILC’s Fragmentation of International Law Report: details at the foot of this post). Repeated affirmation that the CCM is an instrument of IHL therefore affects the future interpretation of its provisions. Under general rules of international law, a treaty shall be interpreted in good faith in accordance with the ordinary meaning to be given to its terms in their context and in the light of its object and purpose. The CCM’s preamble clearly supports interpreting the treaty text in conformity with principles of IHL – and even human rights law. Future State practice in the application of the treaty will play an important role. But where practice leaves the meaning of a provision ambiguous or obscure – as may be the case of Article 21 on “interoperability” – recourse may be had to the preparatory work and the circumstances of the treaty’s conclusion (sometimes known as the 'diplomatic' or 'negotiating 'record). State’s emphasis on the CCM’s humanitarian objective will be a factor to take into consideration here. The characterisation of the CCM as a humanitarian instrument also has a bearing on the consequences of a material breach of the treaty. Normally (and particularly for arms control agreements), such as situation would entitle all or some state parties to suspend or terminate the treaty. However, suspension or termination as a reaction to a violation of the CCM will not be allowed regarding “provisions relating to the protection of the human person contained in treaties of a humanitarian character” (cf. 60 (5) Vienna Convention on the Law of Treaties). Finally, international law recognises certain situations in which the non-performance of a state’s obligations may be justified and so – in legal parlance – not engage its responsibility. However, in IHL states are typically not allowed to invoke such “circumstances precluding wrongfulness”. With regard to the CCM, this is evidenced in the formulation of its Article 1, which obliges state parties “never under any circumstances” to engage in prohibited activities. In keeping with the humanitarian object and purpose of the CCM, states parties may not use cluster munitions either in self-defence or as a means of belligerent reprisal. Designating treaties as humanitarian or disarmament ones may seem to be an academic exercise, but establishing and reaffirming their object and purpose through State practice does have a real effect on a treaty’s interpretation, and eventually its impact on peoples’ lives. And, stepping back from matters of legal understanding for a moment, it’s clear that - in political terms - the CCM outcome is both humanitarian and disarmament. Fragmentation of International Law: Difficulties Arising from the Diversification and Expansion of International Law, Report of the Study Group of the International Law Commission, Finalized by Martti Koskenniemi, (UN document A/CN.4/L.682, 13 April 2006, available online at: http://www.un.org/law/ilc/). 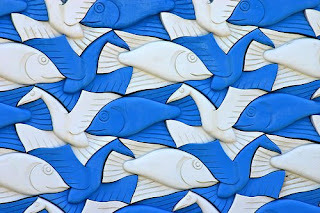 Photo credit: Kees de Vos, from Flickr. Last week (June 2-8) was the official Global Week of Action against Gun Violence. Judging from the reports that have continued this week to arrive in my email inbox from the organisers of this initiative - the International Action Network on Small Arms (IANSA) - it would seem that this year has seen the most global activity by civil society to raise awareness of the problem of gun violence since IANSA launched the 'week of action' idea in 2003. Details of all of the activities that have taken place worldwide can be found here. In the same vein, I also gave a talk earlier this week to participants in the Geneva Centre for Security Policy's course on 'New Issues in Security' on the topic of 'dealing with small arms and light weapons.' 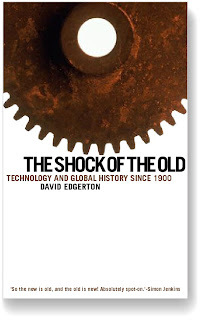 Preparing for this allowed me to reflect on the various ways in which the international community has tried to respond to the global scourge of gun violence since the issue first emerged on the international agenda in the mid-1990s. A lot has certainly been achieved. In 2001, States party to the UN Convention against Transnational Organised Crime agreed a protocol to that convention to combat "the Illicit Manufacturing of and Trafficking in Firearms, their Parts and Components and Ammunition." This is still the only global, legally-binding instrument on guns in existence today. As important as it is, the protocol is essentially a crime control measure, however, and does not regulate State-to-State transfers of firearms nor, indeed, any other transfer of firearms authorised by a State. Also in 2001, all UN Member States adopted the UN Programme of Action to Prevent, Combat and Eradicate the Illicit Trade in Small Arms and Light Weapons in All Its Aspects. Although it is not a legally-binding agreement, it does commit States to a broad range of actions at the national, regional and global levels that, if properly implemented, could make a real difference. Some provisions in the UN Programme of Action have also been further developed. In 2005, UN Member States agreed an International Tracing Instrument that, if properly implemented, would allow them to identify the points at which small arms and light weapons cross the threshold from the legal into the illicit realm (this is crucial since most illicit guns start their lives as perfectly legal weapons). In 2007, a UN Expert Group issued useful recommendations to States on how to prevent small arms brokers within their jurisdictions from engaging in illicit brokering activities. Outside of this framework, the Geneva Declaration on Armed Violence and Development - a stand-alone initiative coordinated by Switzerland and subscribed to by 94 States (and rising) - aims to achieve a measurable reduction in the global burden of armed violence, as well as tangible improvements in human security by 2015. The United Nations has developed global standards for the disarmament, demobilisation and re-integration of former combatants in post-conflict situations and has plans to develop another set of global standards for a broad range of small arms control measures. The World Health Organisation is running a Global Campaign for Violence Prevention. Finally, ambitious efforts are underway with strong support from UN Member States to develop an Arms Trade Treaty that would regulate the global trade in all conventional weapons, including guns. And yet, despite all of this activity, guns continue to flow into and around the illicit market, aided by shady brokers. They continue to find their way around UN arms embargoes. They continue to be transferred in an irresponsible manner. And, most importantly of all, they continue to be misused on a massive scale, leaving death, disability, displacement and destitution in their wake. There are no simple, 'one-size-fits-all' policy solutions to the complicated problem of the proliferation and misuse of guns. A full three-quarters of the world's estimated 875 million firearms are thought to be in the hands of civilians. Two thirds of the 300,000 or so killings carried out each year using guns happen not in traditional 'armed conflict' situations, but in the context of criminality and inter-personal violence. And there is no simple link between the availability of guns and their misuse. Despite having been on the international agenda for more than a decade now and despite a lot having been achieved during that time, we are still in the relatively early stages of really getting a grip on this problem. Focusing on the effects that guns have on people - as the global week of action does - is a useful way of setting priorities for the next decade of action on this issue. Video credit: "Stop the bullets. Kill the gun." Film by Choice FM available on the IANSA Global Week of Action website. In some recent preceding posts on this blog, we've offered analysis concerning the interoperability provisions of the new Convention on Cluster Munitions (or CCM for short), particularly Article 21. Further to these posts, we thought it would be useful to reproduce here the text of Iceland's statement to the closing session of the Dublin negotiations on 30 May - for two reasons. The first reason is that we thought it was a particularly sensible statement. The second reason is that it was written and delivered by noted international legal expert and Icelandic ambassador, Gudmundur Eiriksson. The Government of Iceland fully supports the Convention on Cluster Munitions adopted in Dublin today and expresses its appreciation for the cooperation which has led to this result. Although many of the provisions of the Convention reflect the need to reach political compromises during the negotiations, the States concerned, having agreed on the form of a legally binding treaty, have brought the results into the realm of international law. States Parties will thus be guided in their interpretation and application of the Convention by the rules of international law, in particular, International Humanitarian Law and the Law of Treaties, including the overarching principle of good faith performance (1969 Vienna Convention on the Law of Treaties, article 26), with the concomitant rules on State Responsibility, including on attributability (e.g. International Law Commission Articles on State Responsibility, Chapter II). Specifically, the language in Article 21 on relations between States Parties and States not parties to the Convention was drafted to deal with particular concerns on the operability of the Convention in cases where a State Party engages in military cooperation with a State not a party to the Convention. While the article sets out an appeal to States which are not parties to join the regime of the Convention, it recognizes the need for continuing cooperation in what is hoped will be a short transition period. This intention is captured clearly in paragraph 3 of the Article which should not be read as entitling States Parties to avoid their specific obligations under the Convention for this limited purpose. The decision to reinforce this position by listing some examples in paragraph 4 cannot therefore be interpreted to allow departures in other respects. We've highlighted in italics some legalese in Iceland's statement we think will be particularly important in the course of implementation of the CCM. In plain language what it means is that, as a general principle of international law, states parties have to give effect to the obligations assumed under the CCM, and that they are responsible for activities over which they exert effective control - whether or not these are conducted together with other states or international organisations. In other words, states are responsible for what they actually control, and not for what they don't. 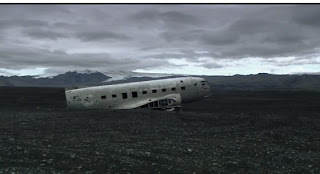 Picture of wrecked American plane in Iceland, from the Icelandic band Sigur Ros's beautiful recent documentary film Heima. It was a bit of an anti-climax coming back to Geneva following the historic breakthrough in Dublin last week that led to the adoption by 111 States of a new, legally-binding Convention on Cluster Munitions (CCM). (This will be opened for signature in Oslo in December and will enter into force as soon as 30 States have ratified it). After the suspense, drama, emotions and celebrations of Dublin, getting back to ‘business as usual’ in Geneva has not been easy. Not that most Geneva-based disarmament diplomats have had any choice in the matter: On Monday morning it was straight into a week of meetings of the Standing Committees of the Anti-Personnel Mine Ban Convention. After two weeks of intense negotiations on cluster munitions, a further week of implementation discussions on landmines would not seem to me to be the ideal way to wind down. But the disarmament calendar has no mercy this year it seems. The Conference on Disarmament (CD) also continues to plod along, trying - valiantly but with ever decreasing vigour it would seem - to break its now 11-year deadlock. Observing the CD's public plenary meeting on Tuesday morning was a rather surreal experience. The room looked strangely empty (probably due to the intersessional meetings of the Mine Ban Treaty going on at the same time down the street). Although this was the first CD meeting I’d managed to get to in over a month, the tone and tenor of the statements were much the same as the last ones I had heard. Nothing’s changed. The deadlock remains. In the middle of proceedings, the Irish representative lobbed into this stagnant pool a report of what had happened in Dublin over the previous two weeks: A new treaty banning a whole class of conventional weapons; agreed in 18 months; setting a new norm and a new standard of international humanitarian law that will protect civilians and assist victims of these weapons. The contrast exposed by this statement could not have been starker, as was recognised by the CD's current President, the UK, who said that the success of the Dublin conference "flows directly from dissatisfaction at the existing international architecture for arms control and disarmament's ability to grapple with these issues" (see the 'Reaching Critical Will' CD report of June 3). It will be interesting to see what ripple effects, if any, the Dublin negotiations will have on other areas of disarmament and arms control, including, but not limited to, the CD. Minds are already turned to this question. In its closing statement in Dublin, for example, Norway wondered how the lessons of the Oslo Process on cluster munitions could be applied to revitalising other areas of disarmament and arms control. Many others would like to know too, and this has, of course, been the focus of research by my Disarmament Insight colleagues at UNIDIR's Disarmament as Humanitarian Action project. As foreshadowed in our last DI post, it will be particularly interesting to see the impact that the new Convention on Cluster Munitions will have on the remaining 5 weeks of negotiations that are scheduled to take place this year in the framework of the Convention on Certain Conventional Weapons (CCW). The CCW, as reported in previous posts, is negotiating a 'proposal' on cluster munitions intended to balance military with humanitarian concerns. Many of the States that have just adopted the new Convention banning cluster munitions are also party to the CCW. Some of the big users and producers of cluster munitions that did not participate in the Dublin negotiations - such as the US, China, Russia, India, Pakistan and Israel - are too. This should create an interesting dynamic when the CCW meets again in July. States that were in Dublin could find themselves in the awkward position in the CCW of negotiating relatively weak provisions on cluster munitions when they have themselves already agreed to ban them. States that were not in Dublin might wonder why they are negotiating with other States that have already committed themselves to standards that are much higher than the CCW is every likely to achieve. The question then is, does the CCW still have something to offer on cluster munitions? I think yes. The Dublin conference focused on the weapons themselves - particularly on their humanitarian impact - and banned them. The CCW, given its membership, will not achieve this and is not attempting to do so. However, the CCW could make a contribution by seeking to moderate the behaviour of States that possess cluster munitions but that have not (yet) agreed to ban them. This could include strongly urging these States never again to use cluster munitions and/or getting them to sign up to strict regulation of their (potential) use of cluster munitions in the future (although we know that any further use of these weapons will result in severe condemnation by the rest of the international community). Any contribution that the CCW can make along these lines cannot, however, conceal the fact that almost three-fifths of UN Member States have already agreed to ban cluster munitions. The weapon is already well and truly stigmatized and it will be this that defines the debate from now on, rather than anything the CCW might be able to achieve in the time left to it this year. As a colleague of mine asked me this week: What do you get when you take the CCW and turn it upside-down? The CCM! 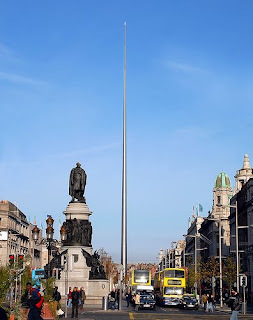 Photo Credit: The Dublin Spire by IrishPics on Flickr. There has been a lot of media coverage of last week's agreement in Dublin on a Cluster Munition Convention - a groundbreaking agreement that prohibits cluster munitions that "cause unacceptable harm to civilians". Some of this media coverage has been thoughtful, measured and insightful. Indeed, some journalists, especially a number from Japan (for instance, see here), have followed the Oslo and UN Convention on Certain Conventional Weapons (CCW) processes closely for many months now and are well aware of their many nuances. Certain other media coverage has been less thoughtful, and sometimes even misguided. I guess this is to be expected when overworked journos are under pressure to produce copy quickly for the general public, which captures the Dublin negotiation's essential elements. But it's hard to communicate something accurately when you don't properly understand it, especially on the vexed issue of so-called interoperability (Article 21 on "relations with states not parties to this Convention" - for relevant Dublin documents see here). The Convention's interoperability provision has been held up in some news stories as a massive loophole - The Times of London even led with a story that the British Prime Minister "Gordon Brown blows a loophole in ban on cluster bombs". To be sure, in a perfect scenario, it would be better not to have such a provision in a treaty and international legal experts I have spoken with are a mite unimpressed with the clumsy wording of Article 21. Bonnie Dochety, a Harvard academic and Human Rights Watch legal researcher described Article 21 as "a step backwards". But let's see it in context here. For one thing, it's wrong to single out the UK. Concerns to ensure that states party to the new treaty could continue to interoperate with non-members were widely held, including by Oslo Process core group countries such as New Zealand and Norway, as well as some countries of the South. And it's no secret that a number of American allies - by no means only the UK - were consulting frequently with their American counterparts during the Dublin negotiations. Given that they are military allies, this is only to be expected, and is no cause for surprise, let alone scandal among those involved in the Oslo Process. Interoperability has, meanwhile, also been an issue in the context of the 1997 Anti-Personnel Mine Ban treaty throughout its implementation. The Mine Ban Treaty process has depended on national statements interpreting its prohibitions on things like "assist", "encourage" and "transfer" in its Articles 1 and 2, but unanimity has never been achieved. The new Cluster Munition Convention has managed to improve on the Mine Ban Treaty's provisions for helping victims and in other areas - its not unreasonable to expect some governments want to achieve greater clarity on the issue of interoperability too. Moreover, concerns about jurisdiction and state and individual liability have cropped up in recent years in a number of areas, not least in how detainees have been transferred in the so-called Global War on Terror. For better or worse, the cluster ban treaty's interoperability provision reflects the times we're living in. "The codification of a legal precedent qualifying the prohibition on assistance is unfortunate for the development of future weapons treaties, but in practice it is unlikely to cause a humanitarian problem. States can still make declarations explaining their understandings of the provision, and the United States will likely bow to political pressure and not put their allies in awkward positions." I agree. And the fact that Article 21 is news can be seen as a good thing: it raises attention to an issue of implementation that would otherwise not be on the public record, and might be slid under the carpet. The second point is that the cluster ban treaty will have a stigmatizing value over the longer term, even if it is below the media's collective radar most of the time. Parties to the treaty will have to spell out their treaty commitments every time they interoperate with a non-party, which will be a continual reminder of the stigma attached to using cluster munitions. And, thirdly, the interoperability provision is part of an overall package: as one ICRC colleague put it to me: "If I were playing baseball, I'd call this a 6-1 win, rather than 7 runs to zero. 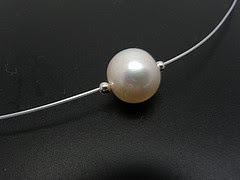 Nevertheless, it's a good day on the ball-field." In addition to the various strong provisions mentioned earlier, the treaty has a robust, cumulative definition of cluster munitions. Some media stories have been quick to point out that there is an eight year period until cluster munition stockpiles have to be destroyed. But those acceding to the cluster ban treaty are actually obligated to destroy their stockpiles "as soon as possible and no later than eight years after entry into force of this Convention" (my italics), and signatories are obliged not to act against the treaty's object and purpose in the meantime. Importantly, a formal transition period didn't make it into the cluster ban treaty: once states accede to it, they won't be able to operationally use their stocks of cluster munitions or transfer them on to others for use. Countries like the UK, Germany and France, which have historically used cluster munitions, are already unilaterally moving to take much of their stockpile out of service right now. Gordon Brown's announcement toward the end of the negotiations that the UK would destroy its M85 and M73 cluster munitions was a hugely important positive signal of commitment. So, let's keep things in perspective: the cluster ban treaty is good news, whatever the cynics say. It will be interesting to see what all of this means for the CCW's work in July. 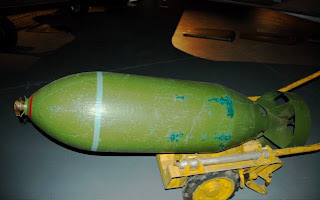 Photo of a random old bomb at the Warbirds Museum in Wanaka, New Zealand.